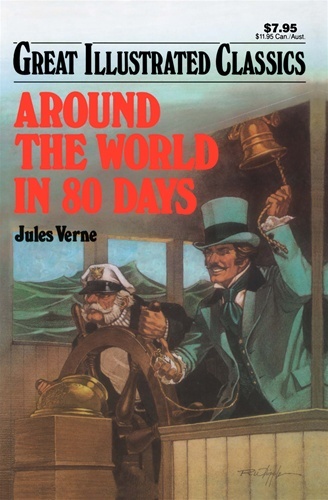 Before there were airplanes and high speed travel, Phileas Fogg, an English gentleman, bets 20,000 pounds that he can travel around the world in only 80 days. En route he meets a beautiful Indian Princess, gets mistaken for a notorious criminal and is pursued by a detective with a warrant for his arrest. Follow his fantastic adventures through four continents in his daring race against time. It's a fast-paced, action-packed, high-spirited journey filled with romance, danger and adventure.